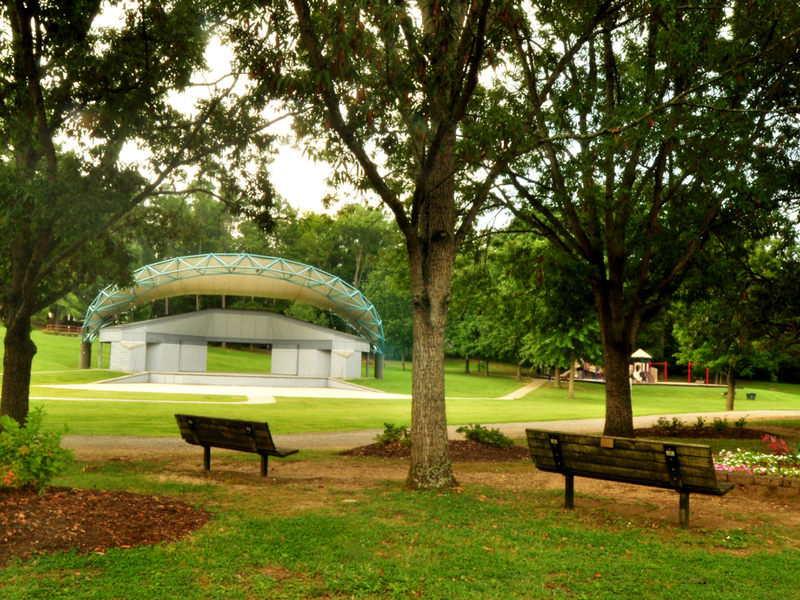 Oak Ridge Recreation & Parks » YAB Dodgeball is BACK! 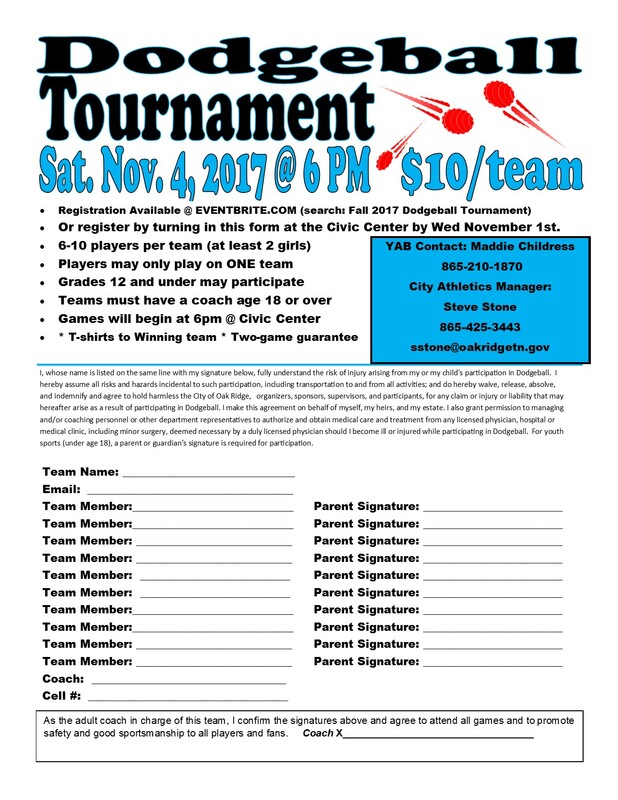 Join us for a fun-filled, action-packed Dodgeball Tournament for Teens on Saturday, November 4th from 6pm-10pm at the Civic Center. Teams must pre-register online at www.eventbrite.com or by filling out the attached roster form. 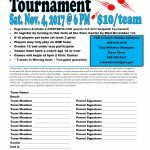 It is $10.00 per team to register. The tournament format will be based on team registration numbers. Students in grades 12 and below are eligible to participate and each team must have a coach that is 18 or older. If you have questions, contact Matt Reece at mreece@oakridgetn.gov or by calling 865-425-3450.